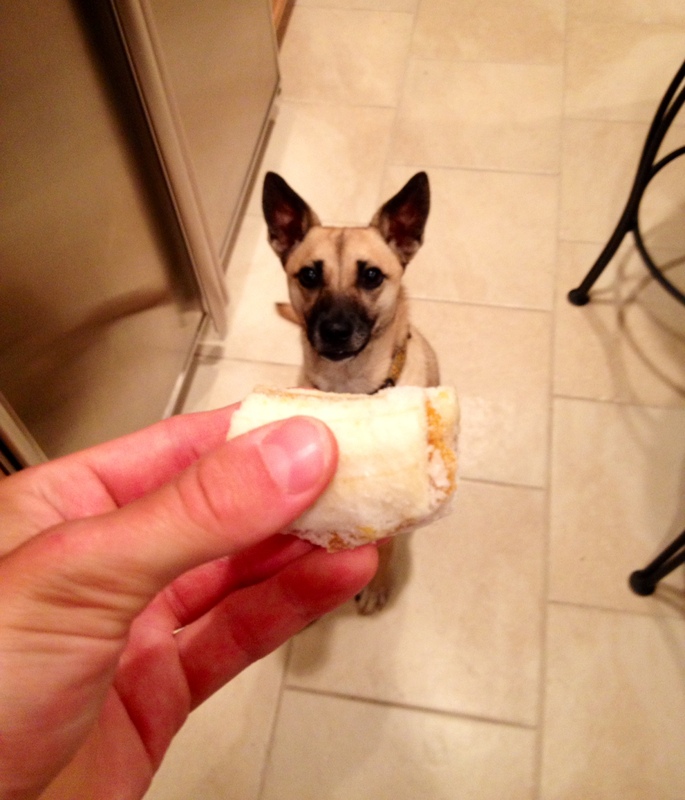 My dog loves banana chips and pumpkin bars, and this super easy frozen treat is combination of both those flavors. When making dog recipes, always remember there are a lot of human foods like salt and sugar that they should not eat, so keeping it simple is best. Hence the two ingredients in this recipe. I’ve made frozen banana sandwiches with peanut butter, too, but I was opening up a can of pumpkin so I decided to give this duo a try. Rynoa woofed it down! (She also helped me clean out the empty pumpkin can before I recycled it). 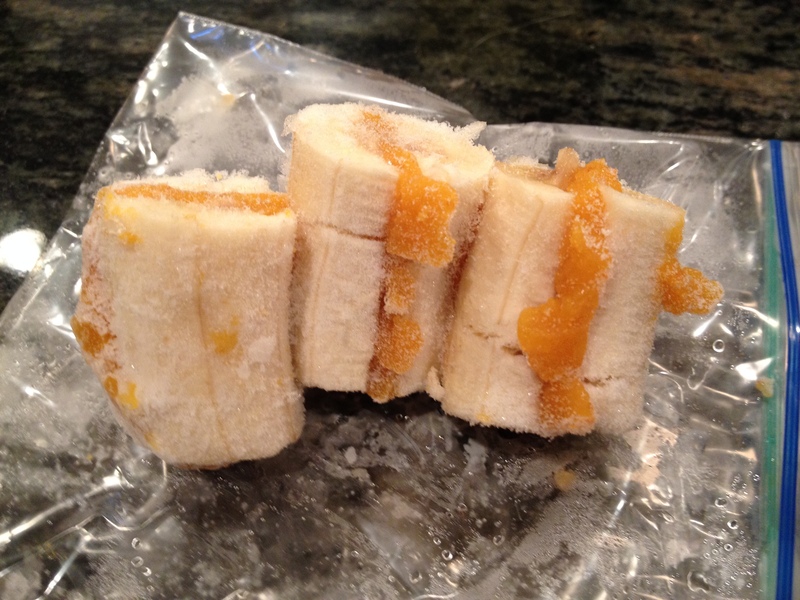 Cut the banana in half lengthwise. Spread the canned pumpkin evenly on one half of the banana. Place other half on top. Cut pieces widthwise in thirds (or to desired size). Freeze at least four hours. Makes three treats when cut in thirds.